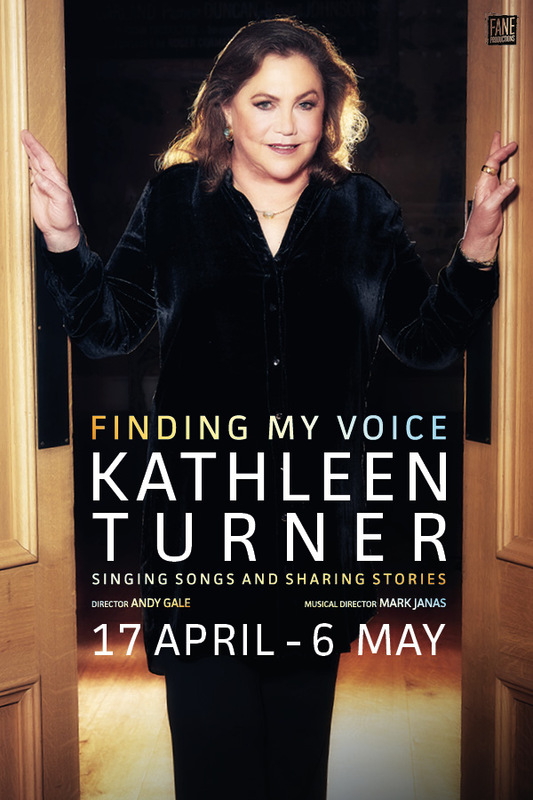 ‘A triumphant roar from Hollywood royalty’ (The Guardian) Kathleen Turner’s ‘exquisite’ and ‘defiant’ (The Times) one-woman show, Finding My Voice, has opened to great acclaim from critics and audiences alike. A‘deeply personal account of a career spanning 41 years on Hollywood, Broadway and the West End’ (The Stage), ‘Hollywood legend’ Turner ‘mixes the poignant with the political’ (Telegraph) in this ‘undeniably fabulous’ (Time Out) new show from Fane Productions. Lending her trademark husky alto to classic tunes from the American songbook, two-time Golden Globe winner and star of Body Heat, Romancing the Stone & War of the Roses, Kathleen also voiced cartoon heart-throb Jessica Rabbit and guest-starred as Chandler’s Dad in TV Sitcom, Friends. With just two weeks left, don’t miss this inspirational and charismatic storytelling from a bona fide stage and screen legend. What are you waiting for?